We are given visuals from when we are small of heroes saving the day and calling that courage. But let me tell you something I just realized through the work with the ladies in my project Releasing Shame, that courage is the core of those that are called to act even though they feel fear. Courage is in us all, it’s our foundation, and we know our courage only in the most challenging situations, when injustice is done to us or others, when people lie to us, when we are betrayed, belittled, abused. Courage is born then, courage magnifies your soul even though its hurt, courage inspires when you make the “smallest” step that has a ripple effect on others’ lives. Courage is believing in love and truth even though that’s not what you might be surrounded with now. Courage is to have survived, in not so perfect, in difficult and in downright abusive circumstances. Courage is your heart that beats and lives even though you cried your eyes out. Courage is knowing that even though you are alone, life is worth living. Courage is the space between you heart and soul occupied by love, serenity, and compassion. Courage is YOUR BIRTHRIGHT and never let anyone tell you differently. If you have suffered a lot, you have been courageous and you will be even more courageous as time passes, and you grow and you get support. 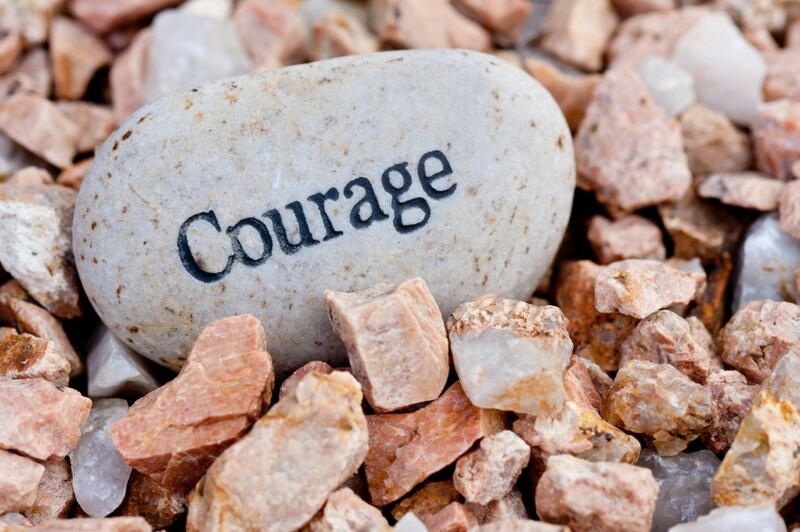 Courage is asking for support and receiving it. Courage is moving forward and believing in life’s mysteries and discoveries. Courage is God within us and s/he has many colors. That is what makes the rainbow, all the different colors of our courage. Shine brightly my loves!